One of our exciting neighbourhood partnerships is with Thriving Neighbourhoods. We work together so that children, youth and families can live in a neighbourhood where people know, support and inspire each other. Thriving Neighbourhoods is a Collective Impact initiative. The collective includes community partners from across West Torrens Local Government Area. As part of our work in the neighbourhood we use Asset Based Community Development principles and a Results Based Accountability framework. We also partner with West Adelaide Football Club. Since 2017 Mick has been the club chaplain and spends time assisting with player welfare and leadership development and in 2018 Airlie became chaplain to the new Westies women's team. Our partnership with Westies began in 2012 when Elliot became chaplain. 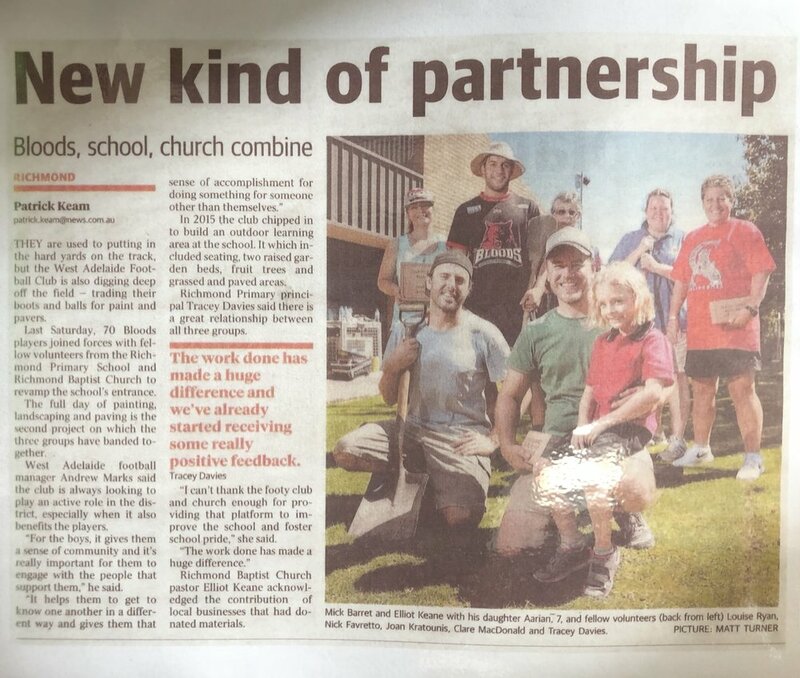 Since then we have partnered with Westies to deliver some great collaborative community projects in our neighbourhood.